Mumbai is said to be the Best Residential City in India. Navi Mumbai a well planned city with various Residential sectors developed for the betterment of India. 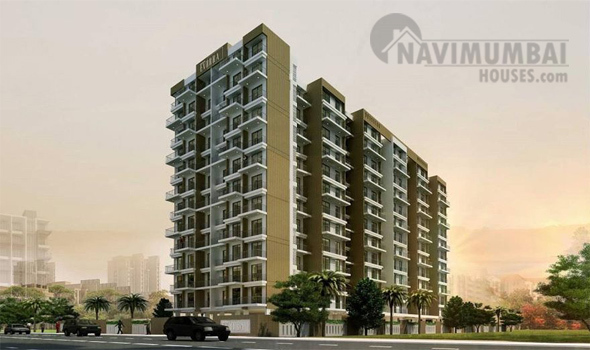 Navi Mumbai Houses present you ‘Akshar Evorra” a 12 storied Residential complex in Dronagiri , Navi Mumbai. Akshar Evorra is one of the popular residential projects that is located in Navi Mumbai. This project developed by Akshar Developers offers 2 BHK apartments with modern amenities that are required for a comfortable stay of residents. Additionally, it is located in proximity to the market and many educational institutions. The project is well equipped with all modern amenities and 24X7 security service to facilitate the business needs. Desire to grow and diversify can be gauged for Better lifestyles, world class qualities and vibrant edifices are the things that you can always expect from Akshar Inspire Life. This project offers well designed housing units to buyers and comes with several amenities including a gymnasium, 24 hours security services, playing zone for children, power backup facilities, club house, car parking facilities and landscaped gardens. The project is located in close proximity to the Jawaharlal Nehru Port which is a hub for several industries. Navi Mumbai Houses the very well known Real estate Agency will serve the best Quality & timely delivers are the promises that we keep with our customers.